AVALON — The Catalina Island Conservancy recently completed reconstruction of White’s Landing Pier, restoring access to the site for boaters. 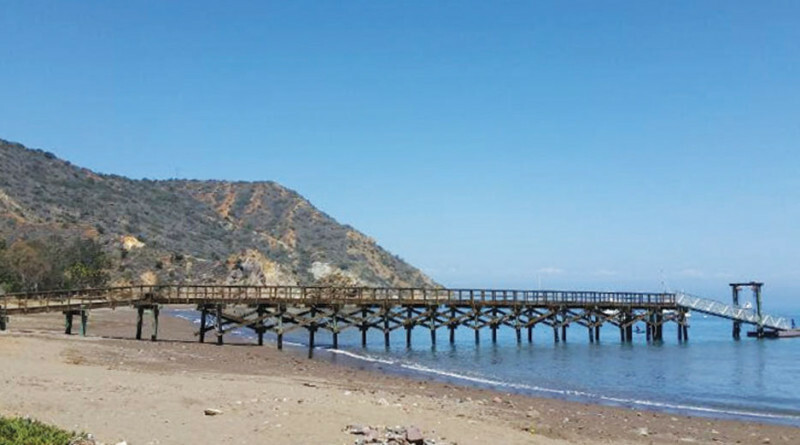 White’s Landing Pier was extensively damaged by a storm surge caused by Hurricane Marie in August 2014, sweeping away most of the pier, eliminating the main access point for campers at The Catalina Experience and members of Balboa and San Diego yacht clubs. The conservancy replaced the 1950s-era wooden pier on the island’s north-facing shore cost with a 288-foot-long pier featuring an 80-foot gangway. The $1.8 million replacement required permitting, shipping supplies and staff from the mainland to the site. Pier reconstruction is part of ongoing work the conservancy performs to maintain and operate 220 miles of roads, 150 miles of hiking opportunities within its road and trail system, the Wrigley Memorial & Botanic Garden, two nature centers, the Conservancy’s headquarters building in Avalon, numerous vehicles, the Airport in the Sky and many other facilities across the 42,000 acres it stewards on Catalina Island.